Fullerton School District is proud to announce Dream Catchers, a new initiative to highlight students who are taking their learning beyond the classroom to make an impact in their community. This initiative is kicking off with a campaign to share what nine of our students are doing with their interests, passions and strengths. Dream Catchers are students who are pursuing their passion and making their dreams a reality. This is a new initiative launched by the district and is a recognition program for students who are putting their dreams into action. FSD will highlight students who have shown dynamic skills in identifying and putting their dreams into tangible actions. Dream Catchers is one portion of the PATH Finder program, created by the FSD Dream Big initiative to enhance personalized learning in the District. Francine V., a junior high school student who discovered her passion for writing and has established herself as a veteran contributor to a local news publication, The Fullerton Observer. These nine Dream Catchers will be recognized by the Fullerton School District Board of Trustees on Tuesday, January 22, 2019 at the regular Board Meeting. They are also featured on a poster and advertisement running at local movie theaters. The Fullerton School District is located in northern Orange County, California and serves over 13,500 students in grades TK – 8th. 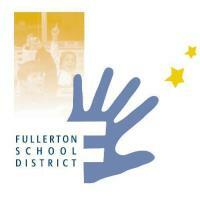 The Fullerton School District includes 20 schools, 15 elementary schools, two K-8th grade schools, and three middle schools. The mission of the Fullerton School District is to work collaboratively with the community to provide an innovative, high-quality educational program for all students in a safe learning environment. The District motto, “Great Schools - Successful Kids” exemplifies the belief that all students will achieve academic excellence, acquire interpersonal skills, and develop technological expertise to contribute as productive citizens in a democratic society. For more information, call 714/447-7400 or visit www.fullertonsd.org.